From an OTT monitoring perspective, broadcasters should choose a solution that provides comprehensive HTTP checks for both live and linear applications. Quality of service (QoS) assurance parameters that broadcasters will want to monitor include content download time, latency, macroblocking, freeze frames, and black frames. Beyond video, broadcasters must also check loudness, silence, and audio levels. Ultimately, this will ensure that their viewers can enjoy a high-quality video and audio experience on any device. Having visibility into the entire workflow is another key requirement for ensuring optimum QoS and quality of experience (QoE). Since content in an OTT workflow is stored on origin servers, CDNs, as well as edge/cache servers, it can be challenging to detect the delivery source of QoS problems. A QC solution with advanced functionalities like centralized management, QoS and QoE checks, and real-time error alerts for problem detection and troubleshooting will streamline this process. OTT technology and requirements are always evolving. Broadcasters will want to select a monitoring tool that is flexible and scalable, enabling easy growth as well as support of next-generation technologies and standards. Finally, there cannot be any trade-offs between efficiency and accuracy. Deploying an OTT monitoring solution that works in tandem with a file-based QC tool will allow broadcasters to quickly and correctly address any issues in live and linear workflows, all the way from ingest to delivery. (See Figure 1.) The result is better QoS and QoE for OTT viewers. Finding a QC and monitoring solution that meets all of these requirements for video delivery in the OTT world can be challenging. But poor video quality is not a risk that broadcasters can take anymore. Viewers expect a consistent, crystal-clear video experience across all device types, including TVs, PCs, smartphones, and tablets. 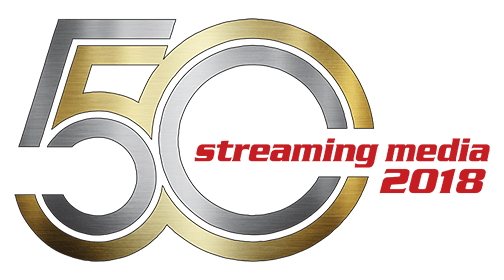 Professionals developing or delivering streaming media need in-depth analysis tools that provide deep insight into compressed streams to troubleshoot problematic ABR content. Interra Systems offers end to end QC, monitoring and analysis solutions for the streaming media industry. The company's complete set of software-based tools provide scalability, high performance and centralized management enabling service providers to deliver flawless video on every device in the most efficient and cost-effective manner possible. Interra Systems’ solutions include BATON®, a market-leading, next-generation hybrid QC solution for file-based workflow that ensures high quality content at every stage; ORION-OTT, a software-based OTT monitoring solution for flawless delivery of live and VOD streaming content; ORION™, a real-time content monitoring solution the delivery of error-free linear broadcast of superior quality video; and VEGA™, a family of audio/video analyzers for standards compliance, debug, and interoperability of encoded streams. Using a combination of Interra Systems’ solutions, broadcasters have a complete video quality assurance solution for the OTT landscape that will ensure an exceptional QoS and QoE for viewers and enable them to gain a competitive edge in the marketplace.